Lancashire is full of history and that is something i'm going to be slowly starting to introduce Lily to now. The places around Lancashire and Yorkshire that hold the history may not be yet understood by Lily but provide really great days out for all the family. 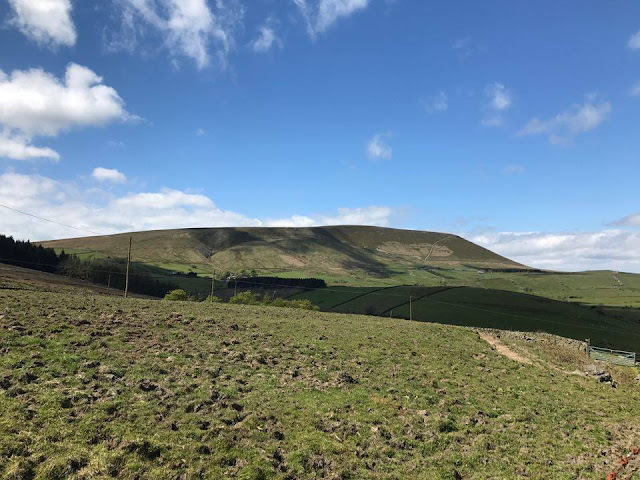 I firstly wanted to not tread to far with where we first visited for some local history and so we headed up into the Pennines which is famous for the Pendle Witches. The story of the witches trial here are amongst the most famous. There were 12 accused that all lived in the surrounding areas of Pendle. They were accused of murder by witchcraft for the killings of 10 people. One of the most famous is called Alice Nutter as she was a quite well known person at the time with connections and rumours of owning land where she lived. She did not seem the "type" to be a witch. There are rumours that she is buried in St Mary's Church in Newchurch in Pendle. So this is where we decided to head for our day out. 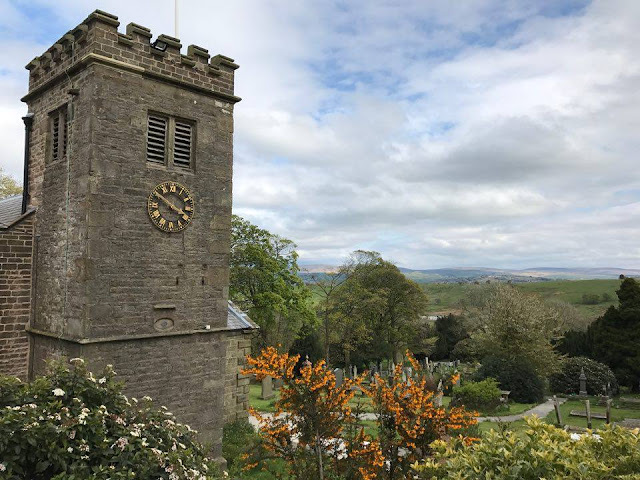 Newchurch is a really small little village very close to Pendle hill. Its one of the famous starting points for the witches walk where you can walk around a huge landscape that was once the location of a huge witch hunt. 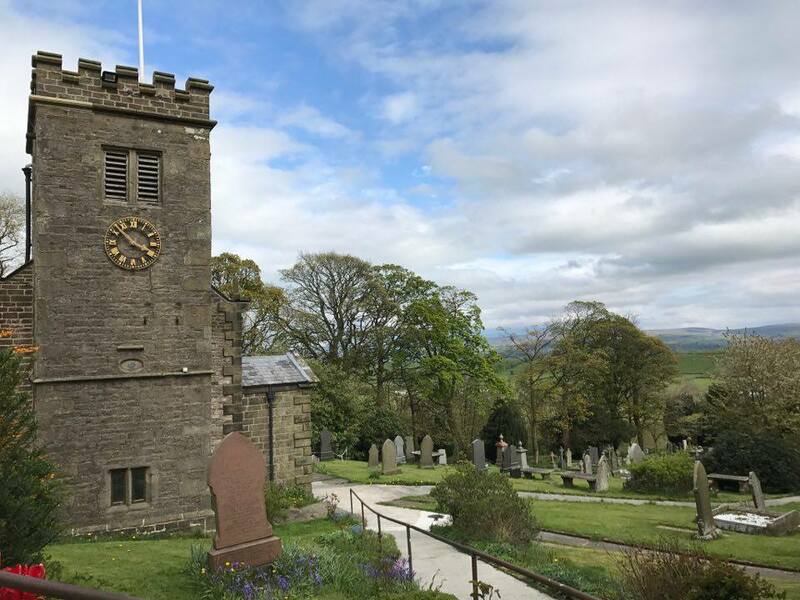 In Newchurch there is a little church called St Mary's which is a beautiful 16th century church. It sits on a slope with a very silent peaceful graveyard that over looks the hills and landscapes. Knowing how far the history goes back here it it really does have a eerie feeling to it though. I can definitely imagine a spooky halloween night here. This is the church that is rumoured to have the remains of the witch Alice Nutter, but they are only rumours as no gravestone marks her grave. What you can find though is a gravestone of Ellin Nutter that is thought to be a relative of Alice Nutter. I must say if you are a fan of old buildings, this is a really beautiful old church to visit. Just a few short steps around the corner there is something that is hard to drive past and not notice. In fact it was my favourite little places to drive past as a child when going through Newchurch. 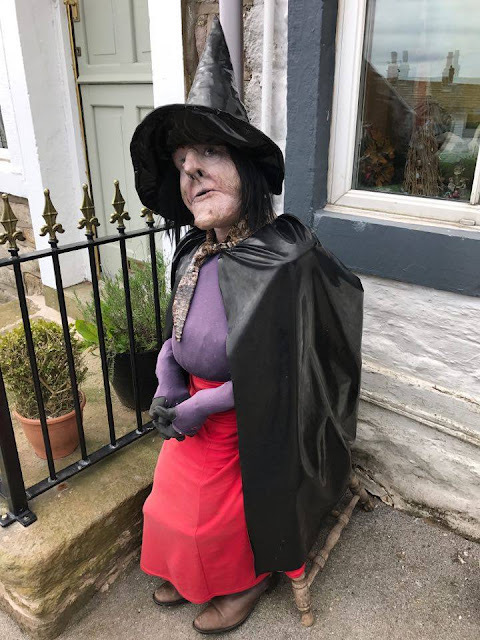 The witches (now witch) that sits outside the Witches Galore shop is such a sigh to see. This shop definetly lets you know that there was once witches in this area. When I was a child there used to be 3 dressed up pretend witches outside the gift shop but now sits only one. The funny thing I find about witches is that they probably weren't really anything looking like that but it definetly makes the story more interesting to imagine them all haggard and wearing hats. In fact one of the witches was only around 12 years old when the trial was happening. The witch is quite freaky looking and as much as I wanted a photograph of Lily with the witch, Lily wasn't to keen on going anywhere near it. Can you blame her? The gift shop has all sorts inside. 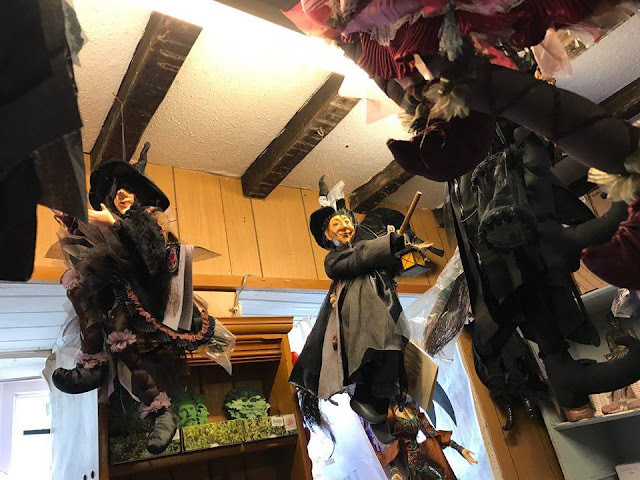 It is full to the brim with witches all hanging from the ceiling and has everything witch themed you could think of. It has such character and if this shop is something you ever drive past I encourage you to stop and have a look inside. I didn't buy much this time round but got Lily a story book with a witch in. After you have spent time in Newchurch the next stop has to be Barley which is the next village on. It is one of my favourites and I have spent many times playing in the little stream as a child and having ice creams. Also spent plenty time as an adult in the Pendle Inn pub which sign also has the theme of a witch. This is where we headed next. First stop had to be the park for Lily, as soon as she knew there was one there it was all she wanted to do. Its not a huge park but has swings and a slide. It over looks the fields too where you can see the sheep and their lambs who were all happily jumping about. We spent a good amount of time here which Lily spent mostly on the swings. We then took Lily over the little bridge to the stream that runs through the village. I had put Lily's welly boots on that morning and brought a change of clothes incase she wanted to go splashing in it just as I loved to do as a child. But she suddenly had her mind on one other thing.... Ice Cream! So this was the last stop for our day out. Connected to the picnic area with the stream is a little cafe where you can grab a cup of tea and ice cream. 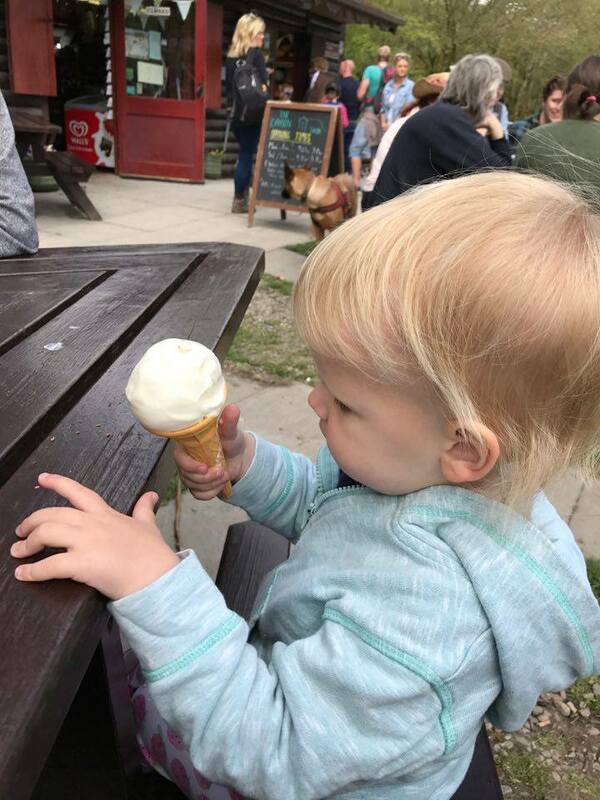 There was a huge que but Lily waited patiently for her ice cream and then took forever to eat every last bit. 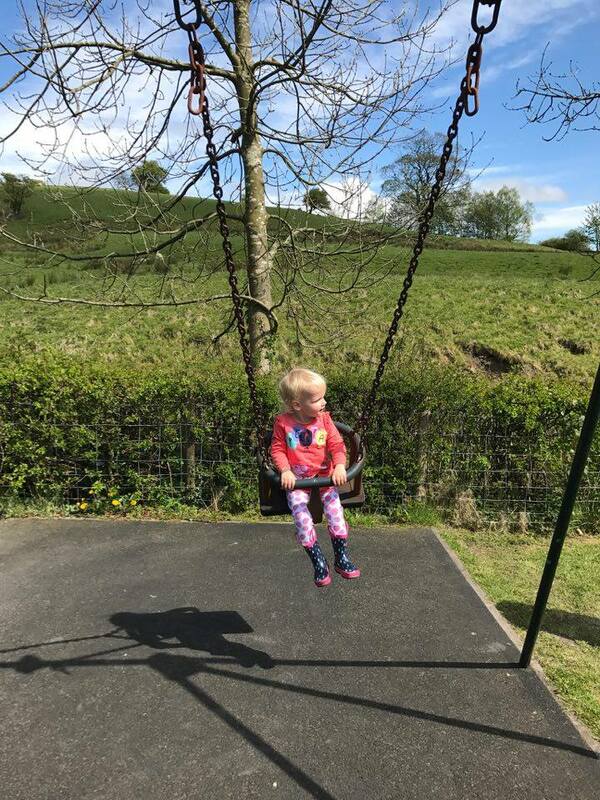 She definetly loved her day out as was really upset to have to leave. But luckily it really doesn't take long to get there and we will go again soon. 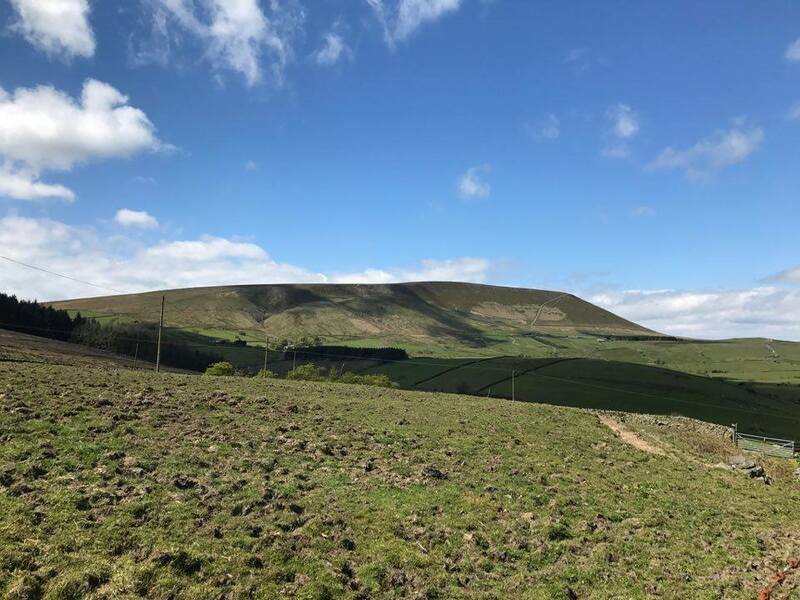 There are also so many other places in Pendle to visit. So i'm sure I will be showing you those sometime soon as well. 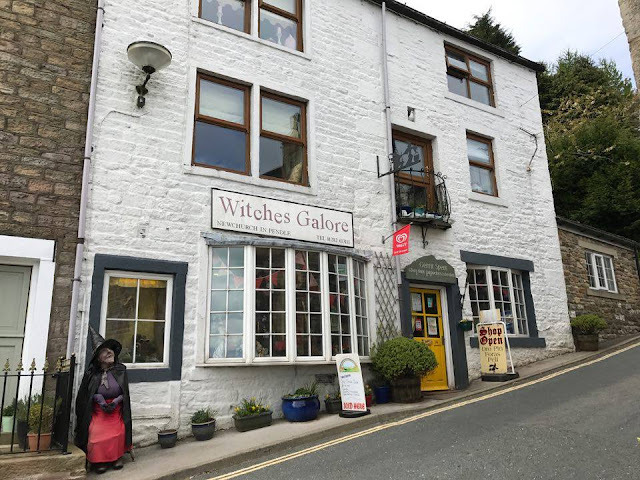 Did you know about the Witches of Pendle? Have you ever visited the area? Oh the witches of Pendal sound quite notorious and that church looks so pretty you would never guess at the history of the area. Looks like the little gift shop is a lovely way to keep the legend going forward. 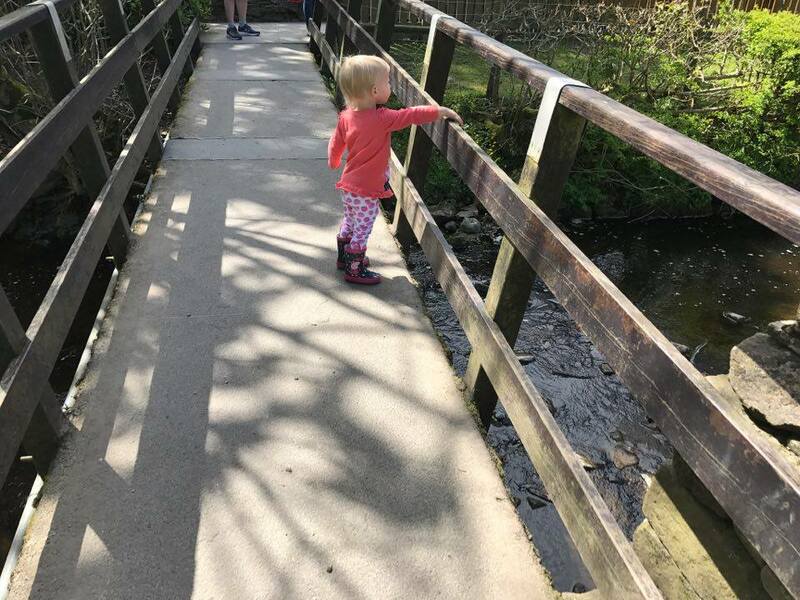 Love the look of that bridge and your childhood memories of splashing in the stream, I have a feeling you will be back and Lily in the water. On the other hand the ice cream looks tempting too!